British universities are leading the way when it comes to buying electric vehicles. A freedom of information survey sent out to 116 universities across the country shows that 7.73 per cent of all university owned vehicles are electric. This makes the average electric vehicle ownership amongst university fleets an impressive 7073 per cent above the national registered average, with just 0.11 per cent of new vehicle registrations in 2013 being electric. Out of the 114 institutions which responded 58.7 per cent owned at least one electric vehicle, while many more said they were in process of updating their fleet to electric.. Bucks New University led the way with 66 per cent of its fleet being electric, closly followed by Edge Hill University (50 per cent) and the University of East London, with 45.5 per cent. Universities also have higher numbers of people carrying books around than most other spaces, that doesn't mean number of people carrying books in universities has surged ahead (indeed, it's likely to have dropped recently). 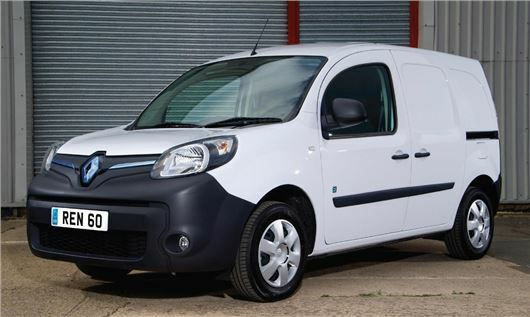 Yes, the fact that the Kangoo is at #2 suggests that there probably are internal combustion engined vehicles being replaced by electric ones. However, institutions with lots of grounds populated by pedestrians are likely to have had an electric vehicle fleet to begin with so we'd need previous numbers to know whether the headline about them 'surging ahead' has any validity. And then there's the question about whether you're definitions are like for like. Vehicles such as the E-Z Go Buggy may not require registration, so adding them into the total when comparing against new vehicle registrations will produce a false picture.